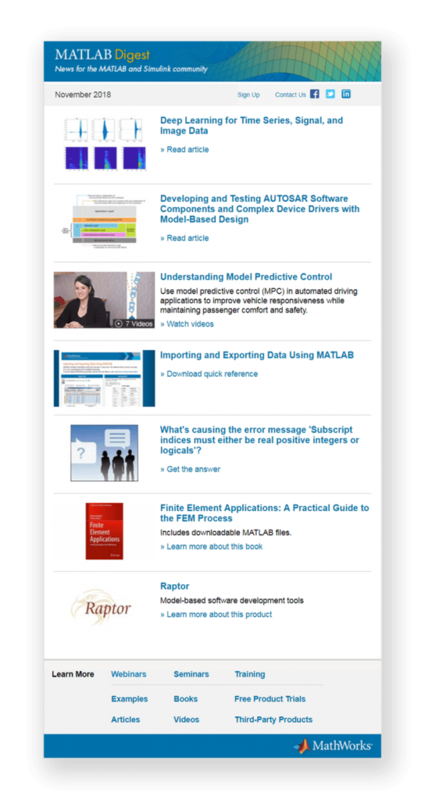 Did you catch New Eagle in the November 2018 MATLAB Digest? As an official MathWorks partner, the digest featured Raptor™ as an ideal model-based software development platform to assist developers from prototype through production. Raptor™ is a family of tools that allows users to develop software directly in the Simulink environment using both Simulink-native and customizable library blocks. After code is generated and debugged using online calibration techniques, it can target production-ready controllers, displays/HMIs, and other off-the-shelf hardware. With development, calibration, test and connectivity options, Raptor offers an alternate approach to coding that is more efficient and cost-effective than traditional programing. To learn more about Raptor and MathWorks, check out the MathWorks website. To learn more about New Eagle’s Raptor, read more here or watch the video below.